Last Friday I said sayonara to my job of 10+ years and started this much needed sabbatical. To recharge, travel and of course blog for a living (sorta). I’ve been craving this time off, with no definite plan of where I would end up. Only that I wanted to travel and spend some quality time with my family. But, right after I handed in my resignation letter, everything just fell into place. StalkerBoy got sent to Tokyo for work and it was the perfect opportunity to tag along (free housing) for 50 days. This was taken during my last trip. 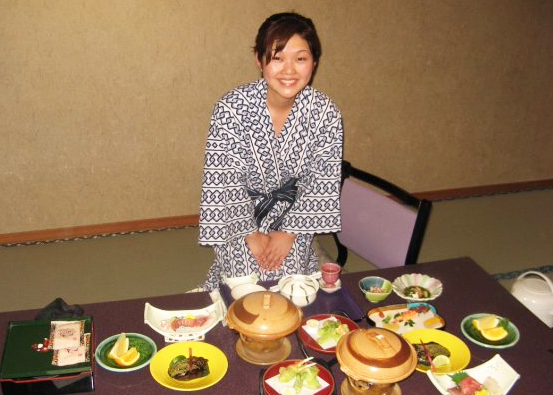 An overnight stay in Hakone, where we relaxed in their onsen and enjoyed delightful dishes, brought to our tatami room.